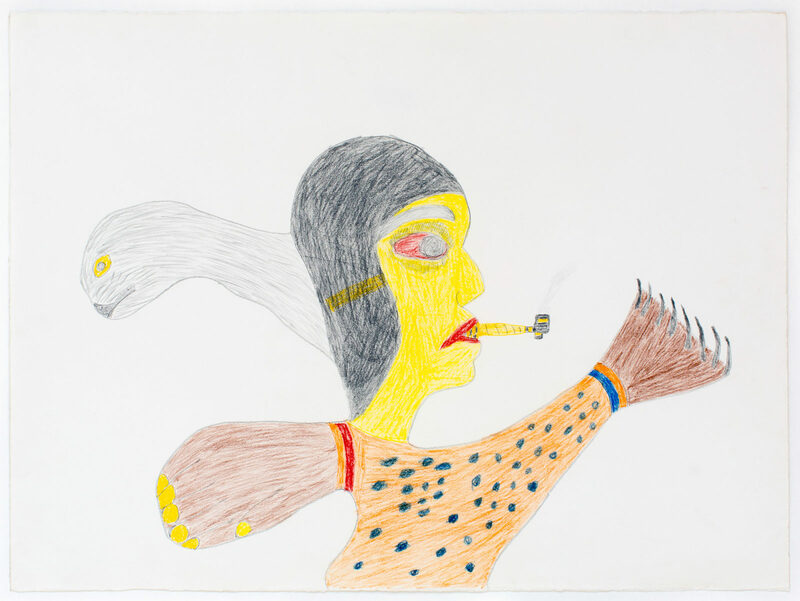 untitled (figure with kudlik), c. 1980, crayon, graphite, paper, 22 x 30 in. 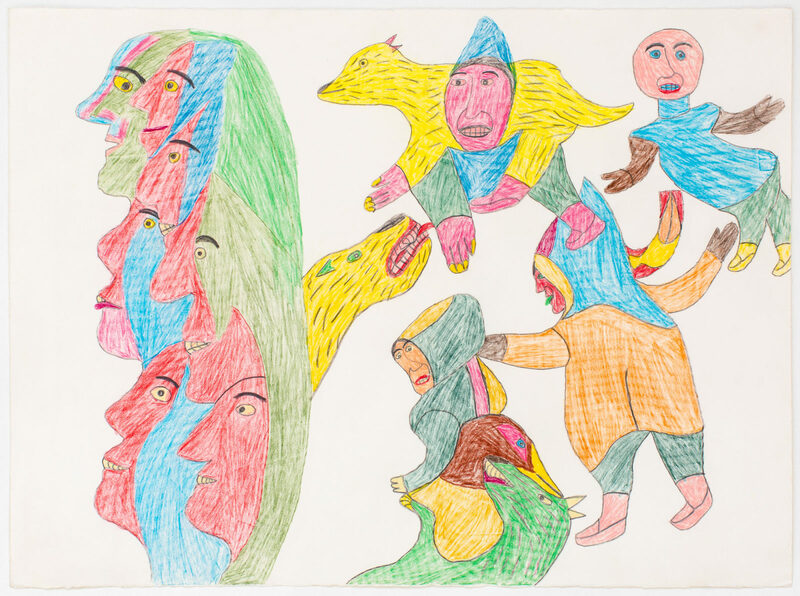 untitled (with red and blue face cluster), c. 1980, crayon, graphite, paper, 22 x 30 in. 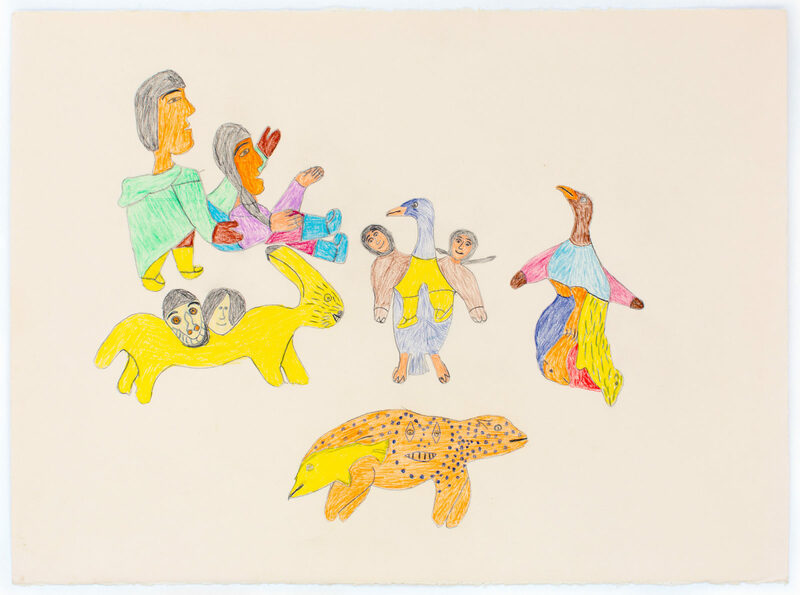 untitled (with yellow igloo), c. 1980, crayon, graphite, paper, 22 x 30 in. 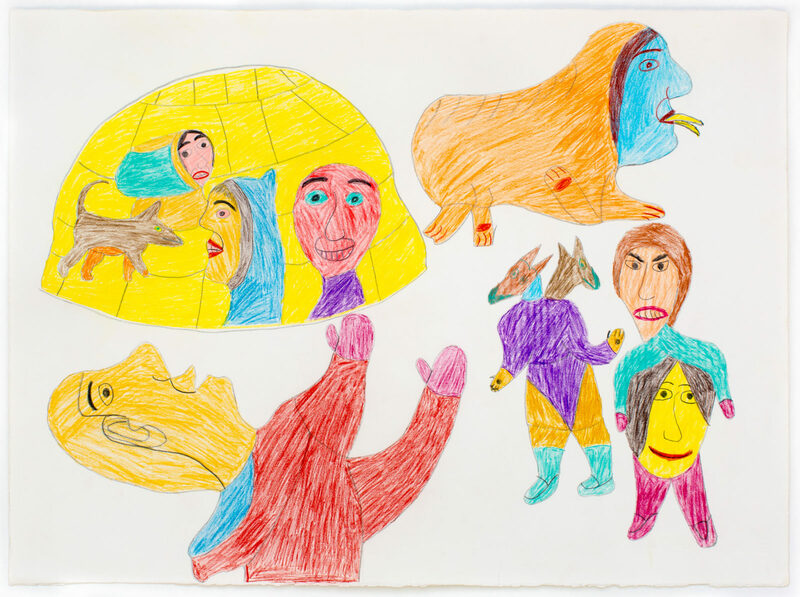 untitled (with red tongue), c. 1980, crayon, graphite, paper, 22 x 30 in. 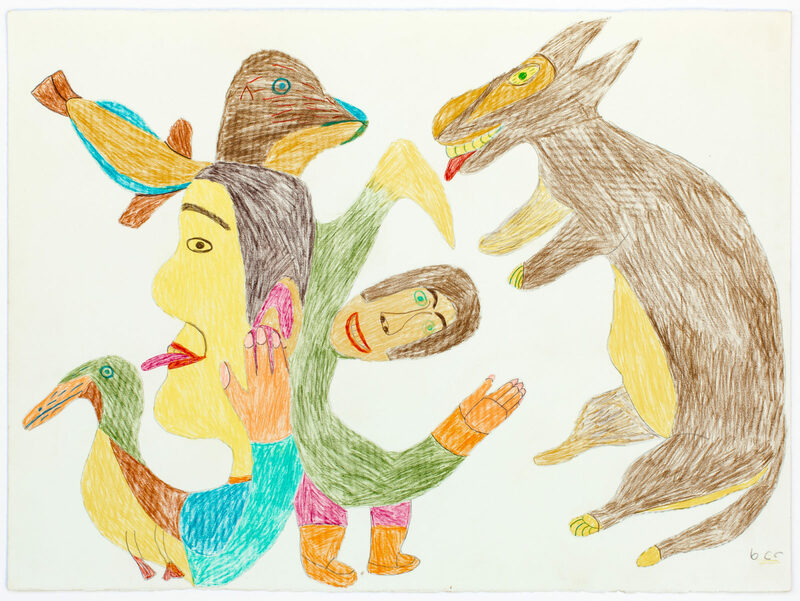 untitled (with green seal heads), c. 1980, crayon, graphite, paper, 22 x 30 in. 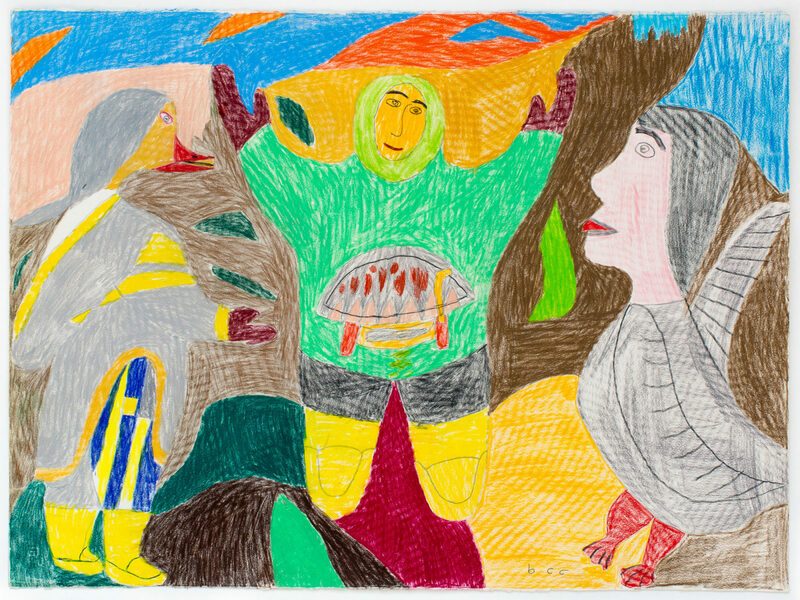 untitled (shaman and spirits), c. 1978, crayon, graphite, paper, 22 x 30 in. 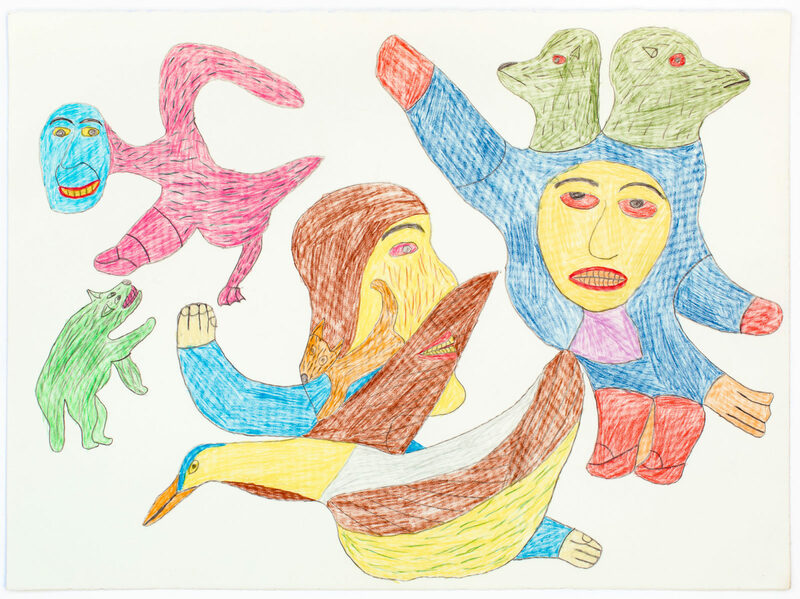 untitled (with seal person pipe), c. 1978, crayon, graphite, paper, 22 x 30 in. 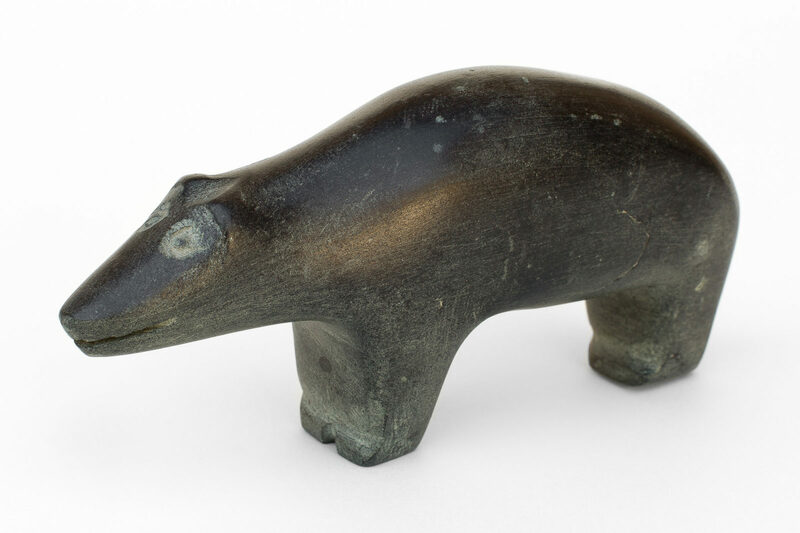 untitled (polar bear), c. 1970, basalt, 2.75 x 6 x 1.5 in. 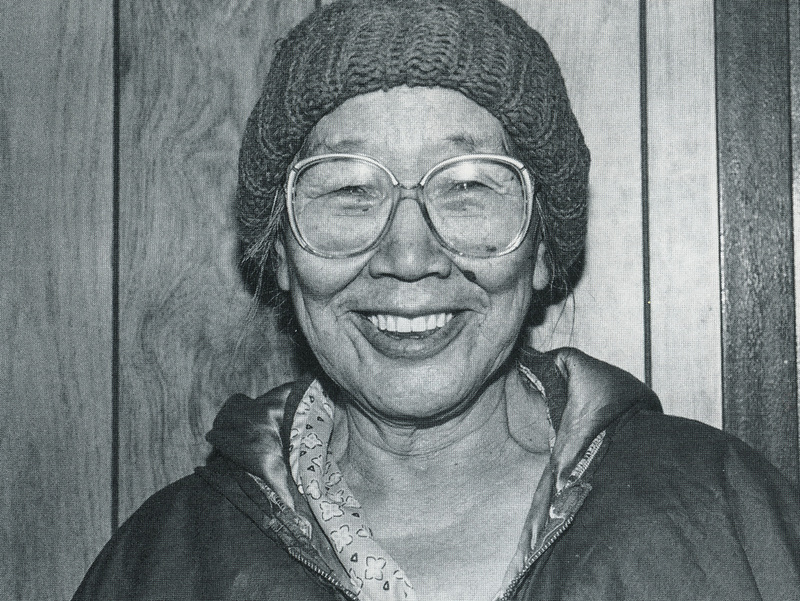 Brother was Pudlo Pudlat, Cape Dorset.